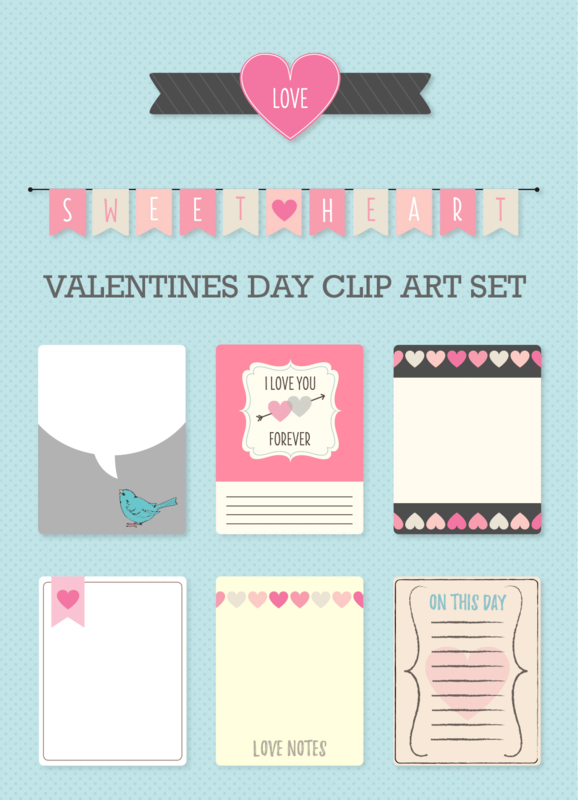 You’ll love this delightful Valentine’s Day free vector art and clip art set. The graphic design set comes with a lovely sweetheart bunting banner, heart with striped ribbon and 6 journal cards. There are a few heart shaped borders and individual clip art of some of the journal card clip art pieces to use for your own custom journaling spots. You get PNG clip art, an AI and PDF file. The AI file can be utilized in illustrator, and the PDF can be used with inkscape. There’s also a bonus set of custom shapes for photoshop users. I’m new to your blog. How do I download the free clip art and vectors? Welcome to the Starsunflower Studio Blog Linda! The link is fixed now! It’s at the bottom of the post under the preview image. So sorry about that! You have to hover over the top area and then there’s a down arrow to download it. It says “open with” just to the left of the download arrow. If you are logged into google, instead there will be an icon that is to save to google drive to the left of the download arrow. Here’s a dropbox link. It may take a bit of time for the file to upload. Am I missing it or is there no download link? The link has been fixed. Late night, sorry about that. Thanks for the comment and the heads up Robert! Hey, there, chickadee! LOL I have been thinking about you! Hope all is well! These are just darling. I do not see a download, though. Am I missing it? It wouldn’t surprise me! I need to get my eyes checked! Lol Su, you are a hoot. Now I have chickadeedeedee chirps in my head. Your eyes are fine chicka! Well, I quickly realized there was no download link, then added link after I published the post Apparently didn’t hit the publish button! I’ve been thinking about you often as well! Your new Behance project is so stunning! Take care as well. Thanks so much for the comment. Hello, I just came across your website. Are these images for commercial use? Hi Heather. You can use them commercially with the exception of selling the items as is, or re-uploading them to promote them on your blog. That would require a link to my page. Hope this clarifies things. Oh wonderful. Thanks so much for the comment!